Mac Repair London is an established Apple Mac data recovery company providing Mac Pro data recovery services to individual customers and business users in London. Our engineers can recover lost or inaccessible data quickly and safely from all Mid 2006, Early 2008, Early 2009, Mid 2010, Mid 2012 and Late 2013 Intel Xeon–based workstation and server computer models. With years of experience in Apple Mac hard drive data recovery services, our engineers can recover your lost, formatted, deleted or corrupted files and folders from all Mid 2006, Early 2008, Early 2009, Mid 2010, Mid 2012 and Late 2013 Mac Pro Intel Xeon–based workstation and server computer models. 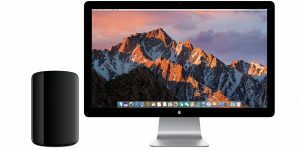 Call Mac Repair London today on 020 7394 2528 or e-mail us at info@mac-repair.london to find out how we can help you with your London Mac Pro hard drive data recovery requirements.